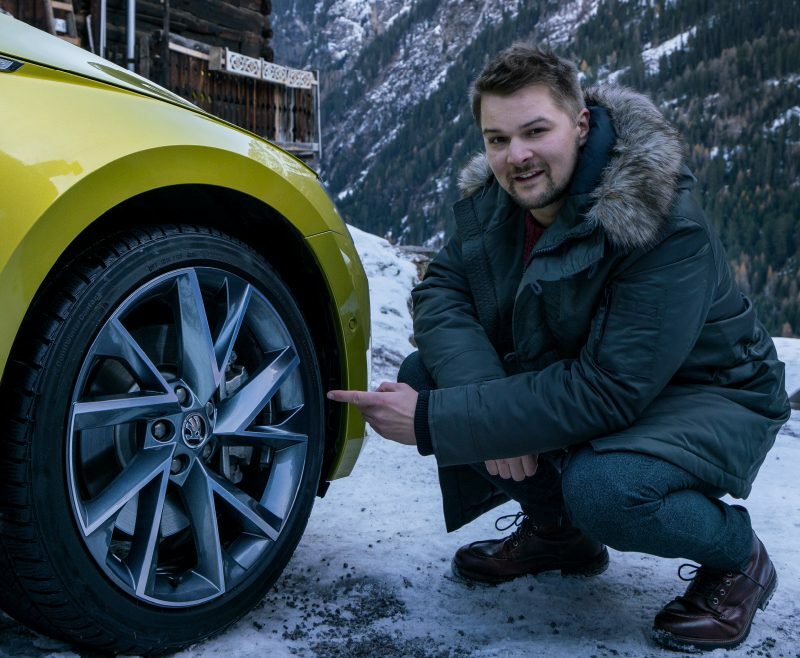 The mechanical attributes setting winter tires apart from summer tires relate to a special, softer rubber compound that also contains road-gripping silica. Another advantage is in their tread design, which is larger and more aggressive and is designed to clear itself of water, snow and slush. Remember to check the minimum tread depth requirement for any countries where you will be driving. 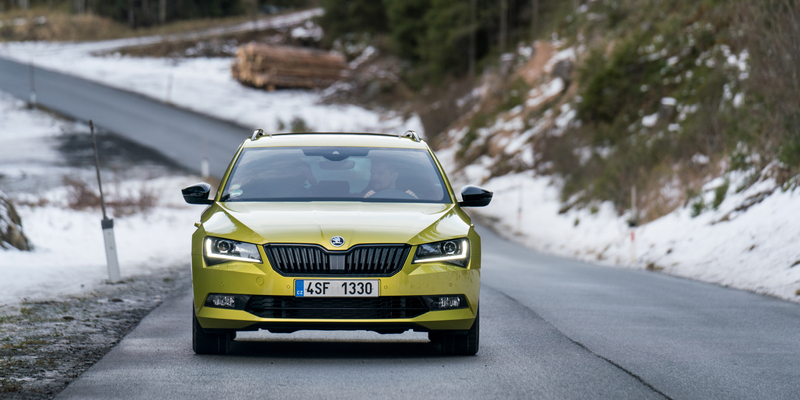 In the Czech Republic, for example, the minimum tread depth required by law for winter tires is 4 mm. Other countries can have different tread depth requirements. 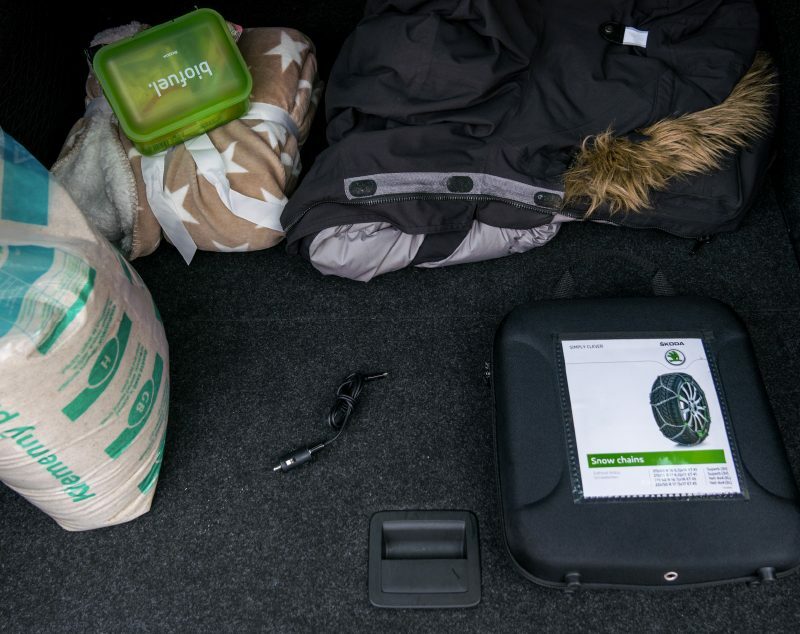 To avoid even additional unpleasant surprises in winter during emergency situations, it pays off to carry several important items with you and to keep them close at hand. A container of sand will be greatly welcomed in case you won’t be able to exit a parking place because of an icy surface. Even a couple handful of sand tossed down in front of your tires before leaving the parking space can save a lot of time. In certain situations, a small snow shovel can save the day. 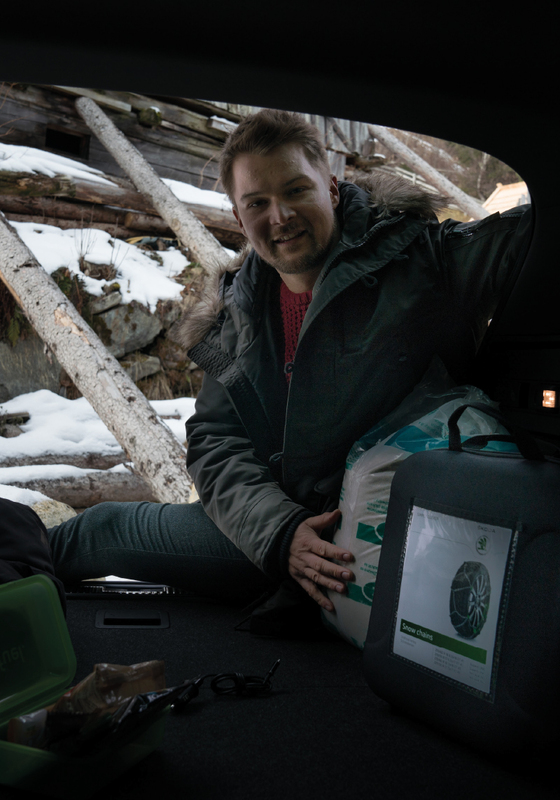 In every case, it is always good to have warm clothes and additional blankets prepared in the boot. They will come in handy for you and your passengers if you get caught out on the road due to an accident or impassable section of road. These situations can sometimes last several hours, and you’ll need to stay warm. In those same situations, you will certainly appreciate at the time to have something to eat. Always carry at least a small amount of durable food. Good choices are dried fruit, cereal bars, or meat jerky. Don’t forget to drink water to keep yourself hydrated. You also should always carry a phone charger in your car during winter. Mobile telephones run their batteries down more quickly during colder weather, and you don’t want to risk being far, far away from home without having use of a phone. You can pass the time during a delay by using your phone, but, most importantly, you can call for help and inform waiting family members or business partners that you will be arriving with a delay. Make sure that you can plug your phone charger into the socket that is installed in your car. Last but not least, it is good always to have snow chains at hand. 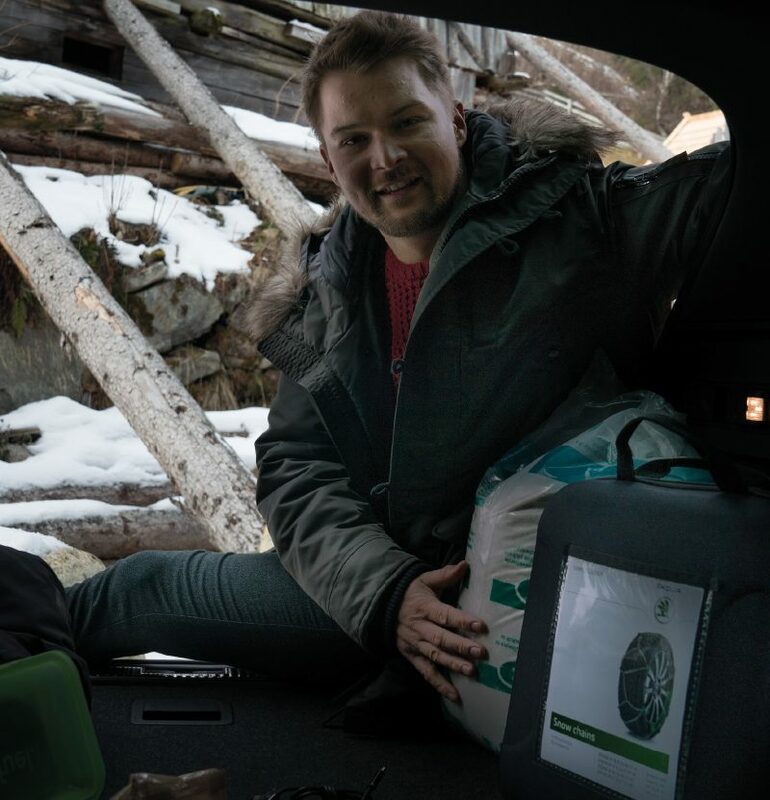 They’ll come in handy especially when traveling to the mountains, on poorly maintained roads, or in cases of sudden change of weather. Don’t forget that if you have only one pair of snow chains they should be put on the wheels that are powered by the engine. 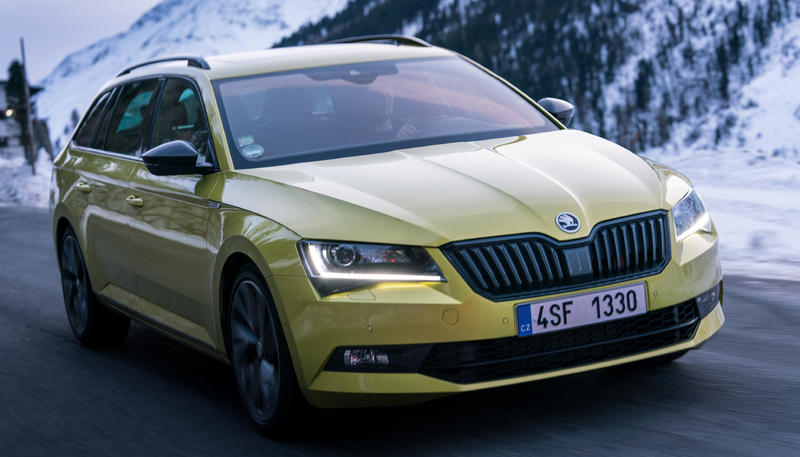 All current ŠKODA models have front-wheel drive and in some cases four-wheel drive. In both cases, put the snow chains on the front wheels. It’s a good idea to have extra winter windscreen washer fluid in the boot. 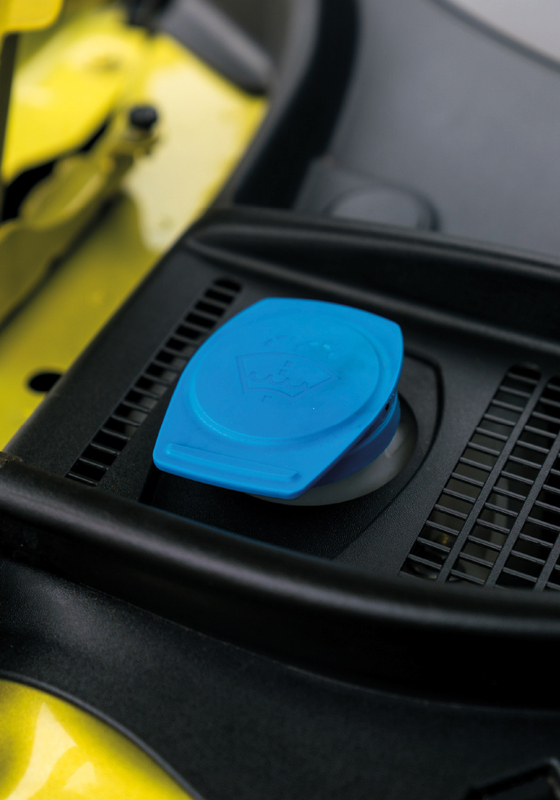 When passing cars are splashing slushy, dirty snow on your windscreen, you do not want to have an empty windscreen fluid reservoir. After a while, you will see almost nothing through the windscreen. If you can expect really low temperatures, you will want to use a winter mixture that won’t freeze down to −20°C or even lower. Mixtures with higher freezing points can freeze up not just in the reservoir but also on a cold windscreen. If the washer fluid is already frozen up, you’ll need to park your car in a warm garage for a while to thaw it out. 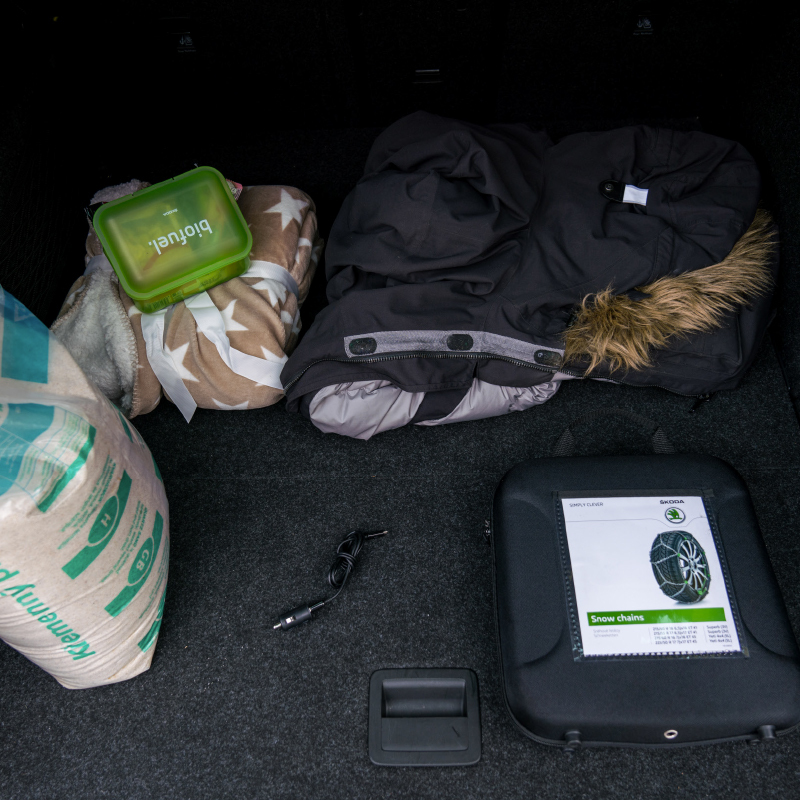 In winter months, it is never a good idea to let your fuel run down. Always keep your tank at least half full. If something happens when you are on a journey, you can keep your engine running and let your car’s heating system keep you warm and comfortable. Moreover, you will still have enough fuel to get you to your destination. 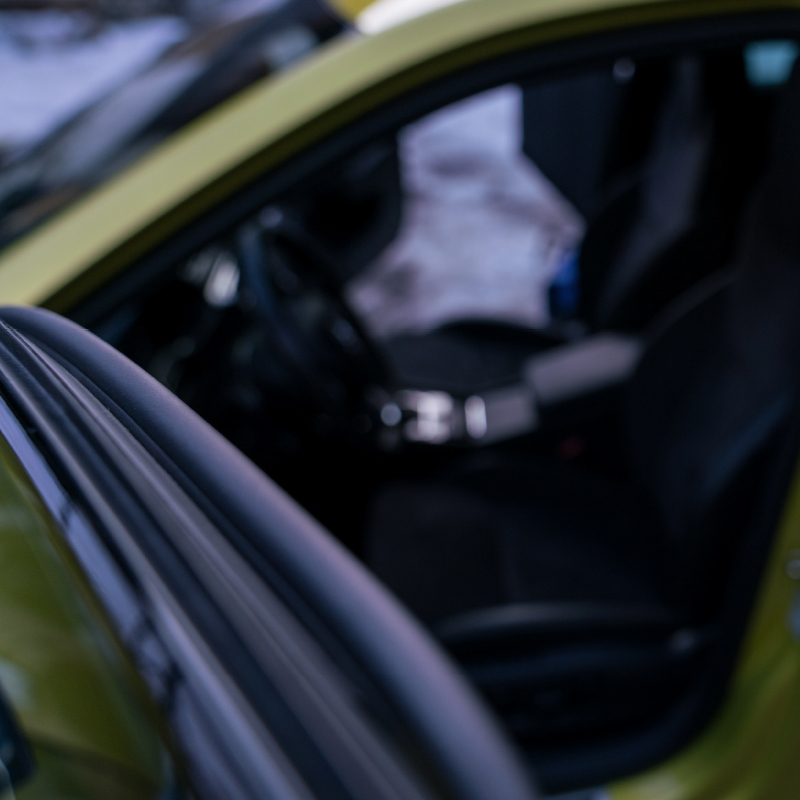 Does it happen to you that your car windows freeze from inside during the winter? A thorough cleaning of the windows will help prevent that. The less dirt that is on the windows, the less moisture that will condense on them. If your windows freeze despite that you’ve cleaned them, you can use an anti-condensation spray. 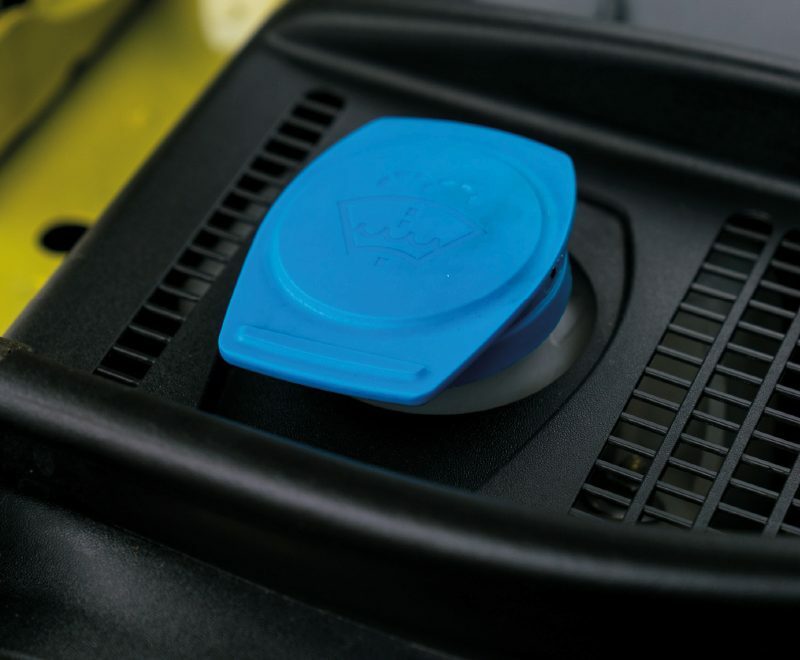 It is important to ventilate the vehicle, too and not to let the air conditioning run for too long. The supply of fresh air reduces fogging of the windows. Especially in older vehicle, frost can cause the rubber door seals to freeze shut. An efficient way to prevent this is to treat the rubber seals with silicone or glycerine spray. This treatment will help you avoid the risk that the rubber seal will tear off when pulling hard to force the door open. In fact, it’s better to avoid using force in the first place when the doors are frozen. Try pounding the door with your hand. Oftentimes that is sufficient to convince a frozen door to release its icy grip. 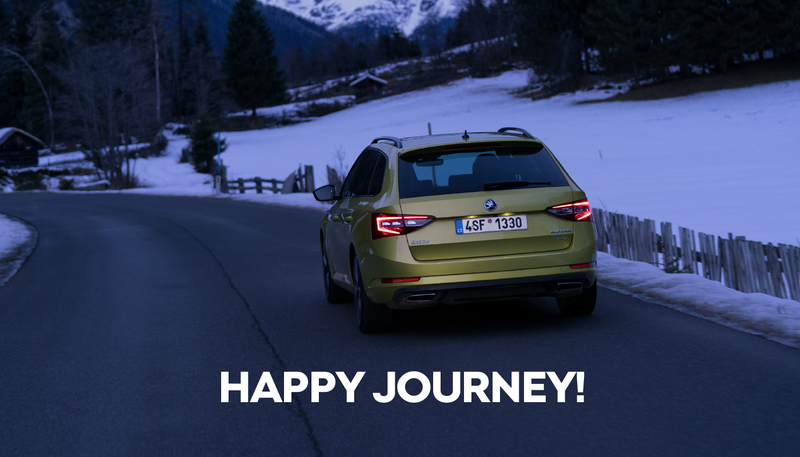 Happy journeys!